Before you figure out how to choose a dog crate, you’ll need to determine what you want the crate for. Is it house training? Air travel? Car safety? A safe space when visiting friends or family? Moving day? A retreat when things get too hectic at home? Does it come apart so cleaning is a breeze, or do you have to basically crawl inside just to wipe it down? Must it blend into your décor? How will all this help me decide? It absolutely will because, for example, if you’ll only be using it once in a great while, something that folds up nice and flat for storage would be an important feature. On the other hand if you need something for flights, the crate you choose will have to conform to the specifications set out by the individual airline. If it will be set up in one location for constant use, making sure it is big enough and easily accessible for your dog are priorities. Some escape artists can, well, escape! 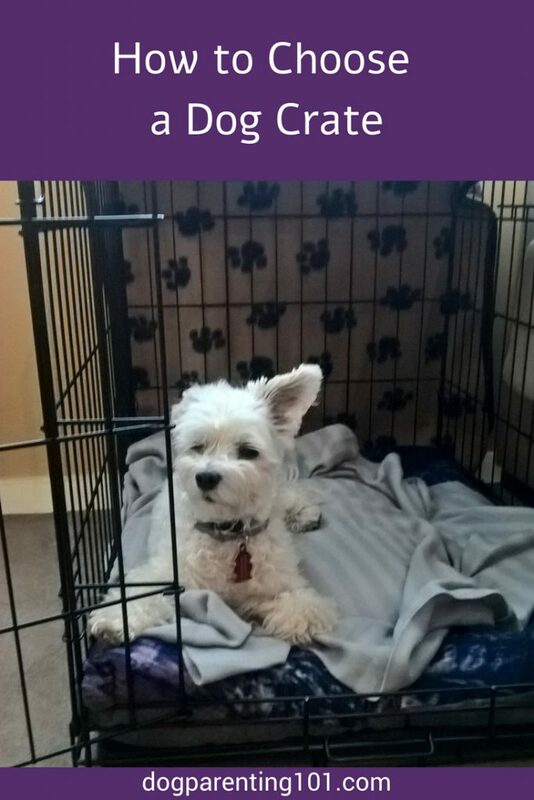 When my dog Jack became paralysed and was recovering from spinal surgery he needed complete rest, so we got him a metal crate. We added a nice comfy bed and blanket for him and he loved it. It was (still is!!) in the living room so he was still part of the family and could see what was going on. He no longer needs it for recovery purposes, but he does love to use it in the evening. I don’t find it noisy when he moves around, he has never peed out of it and there’s no way he could possibly open the two latches. Does that mean this will be your experience? Of course not but I like to share stories from my own life when I can. If you have a large crate, it can be awkward making it smaller to fit him meaning he’ll have enough room to pee or poop in the back, and a clean section in the front. You will likely end up buying a few over the course of his lifetime. I have never used this type of crate as a training tool, nor would I because I believe a wire crate is best for that purpose. I use plastic for transporting cats to the vet and for air travel with dogs and cats. I make sure the doors are metal for safety during transport. 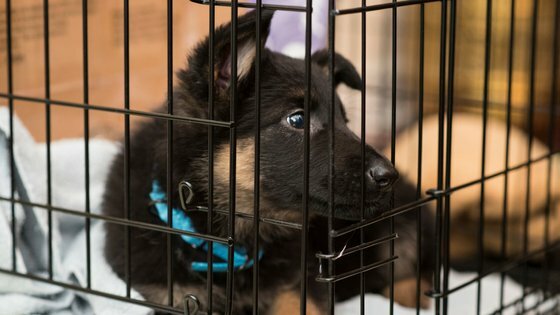 If you are looking for a crate for housetraining purposes, a wire crate is the way to go, for all the “pro” reasons mentioned above. You’ve read the pros and cons, considered the various factors, thought of your needs and the needs of your puppy. After all that I do hope I have helped you figure out how to choose a dog crate.